It’s the excitement of the unknown, the thrill of the overwhelming silence when you find yourself in the heart of nature and of course the spectacular landscapes you get to witness all while forging your own path. 4×4 adventures are growing in popularity and a favourite holiday activity for many South Africans and it’s easy to see why. South Africa’s many diverse landscapes offer the perfect opportunity for 4×4 enthusiasts to live out their wildest off-roading dreams and whether you’re still finding your feet or an expert there will be a route that is perfect for you. The Karoo National Park is ideal for game viewing due to its sparse vegetation and you can look forward to spotting a variety of buck, zebra and other wildlife. The park has four different 4×4 routes, The Nuweveld EcoTrail (90km) branches off the Potlekkertjie Loop and will take you through various steep inclines and sandy river crossings and even has the option of an overnight stay at the Embizweni Cottage which is fully equipped and sleeps 6 people. The Afsaal Trail also branches off the Potlekkertjie Loop but is slightly shorter at 13km. For something a little simpler the Kookfontein Loop (7km) and Sandrivier Loop (7km) lead on from Nuweveld and Afsaal and shouldn’t take longer than 2 hours to complete. 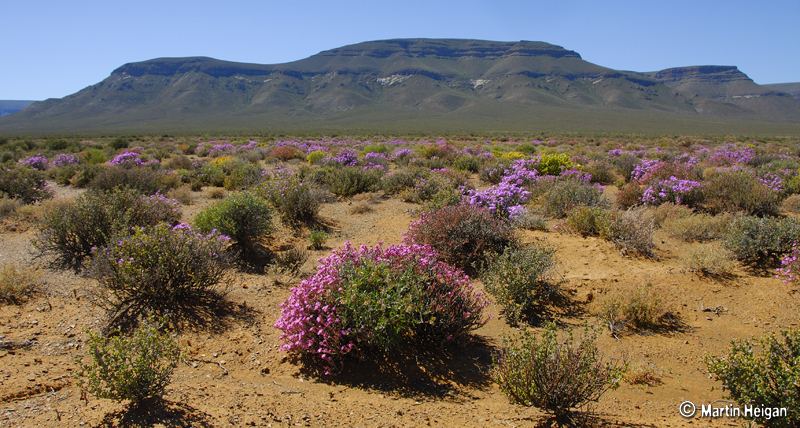 Karoo National Park: Photo credit: Martin Heigan-flickr. 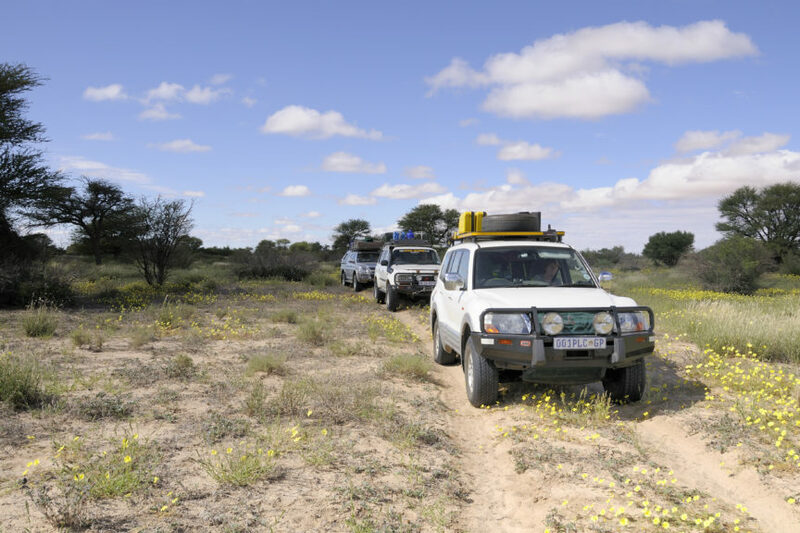 The Bedrogfontein 4×4 Trail is between the Kabouga and Darlington areas of the park and provides an experience rich in natural beauty and history. Back in the day during the Anglo-Boer War this route saw some fierce battles between the British and Afrikaners in the area and rock art paintings can be found scattered throughout. A variety of vegetation types and landscapes await you on your journey, from riverine thicket to the arid nama-karoo and everything in between. Of course there’s the added bonus of experiencing the awe-struck wonder of spotting an elephant. The Bedrogfontein Trail is 45km, it will take you up to 6 hours to complete and is graded 2-3. For more info click here. Addo Elephant Park. Photo Credit: Mario Micklisch- flickr. Best to visit this one between July and September when the park is covered in a spectacular blanket of colourful indigenous flowers. With spectacular scenery it’s a photographer’s paradise. From mountains to coast line the Caracal 4×4 Eco Route lets you experience a range of scenery. During the route you will experience some sandy sections especially in the Namaqua flatlands where you can expect dunes as well as some unique fynbos. Distances range from 176 km to 200km depending on the route you choose. The entire route can be done in 6-8 hours, however you have the option of choosing whether to do it completely or in sections. For more info click here. 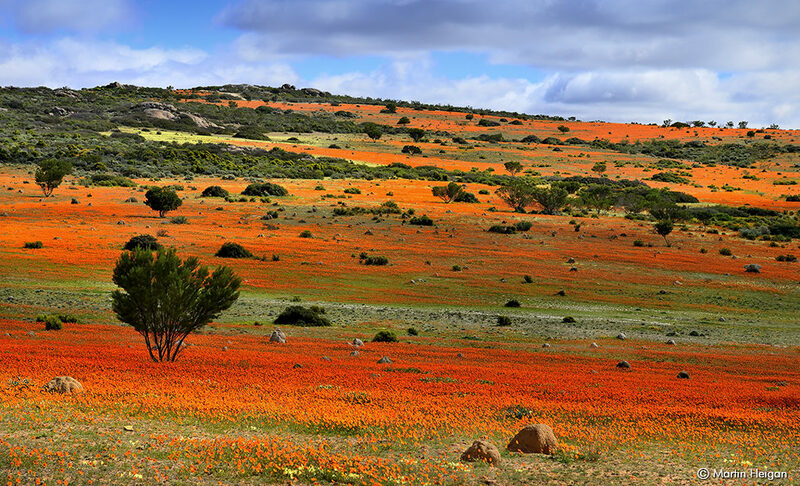 The wildflowers of Namaqualand. Photo Credit: Martin Heigan-flickr. For those thrill seekers looking for something a bit more challenging the Marakele 4×4 Trail is 49km and should take 24 to 52 hours to complete depending on the pace and technical ability of the driver. There are two overnight camps available on the way so you can be well rested for optimum exploring potential. Expect many adrenalin filled moments with lots of steep, rocky slopes, mud, river crossings and management tracks. The trail is open between April to October and be sure to be come prepared with all the necessities as once you hit the trail there will be no amenities on the way. 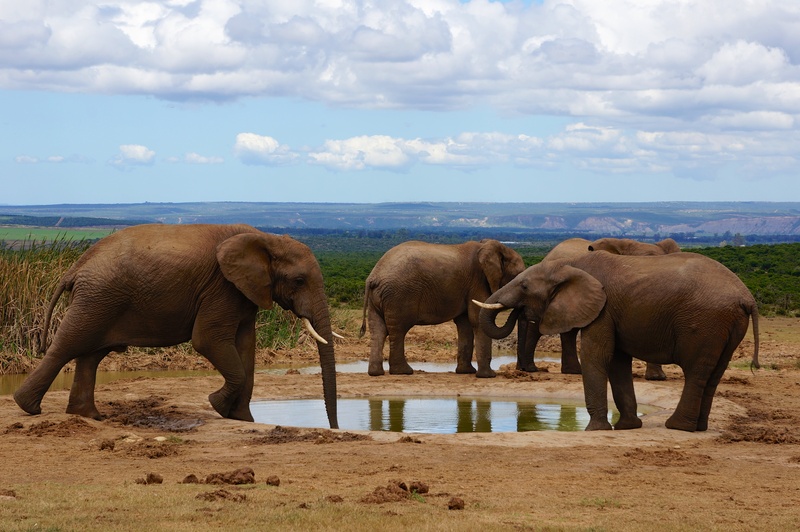 Nature-lovers can enjoy an enormous diversity of flora and fauna including elephants, rhinos, big cats, cycads and an impressive array of birdlife. Which 4×4 adventures would you like to enjoy in South Africa? Featured image by Andrew Ashton-Flickr.